Sir Marcus stood ready to lead the army into the eastern provinces and slay the lich. He had said his goodbyes. 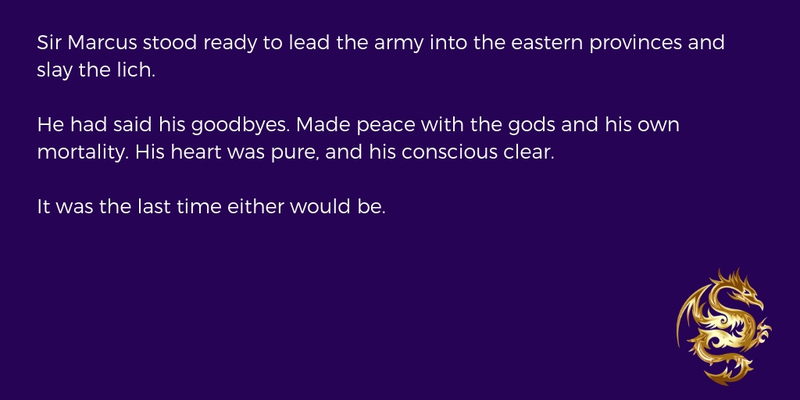 Made peace with the gods and his own mortality. His heart was pure, and his conscious clear. It was the last time either would be.